Did you know we have a store with lots of awesome stuff for your pets? 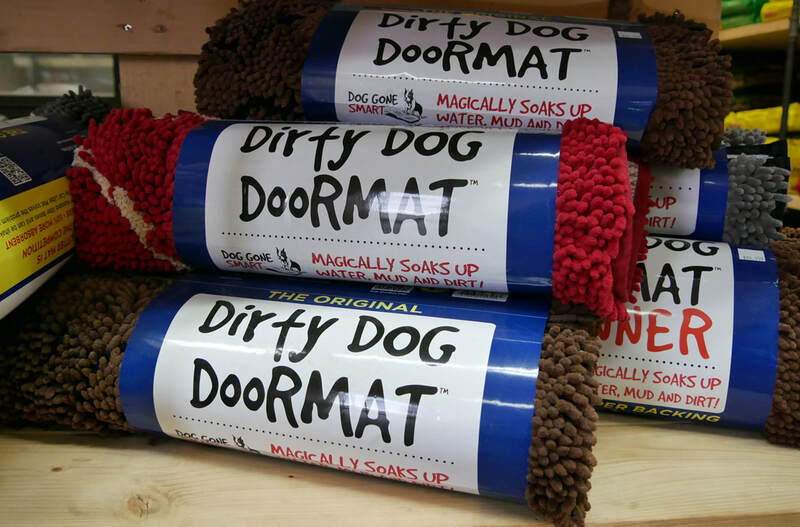 dirty dog doormats that magically soak up water, mud & dirt! Looking for a specific product for your pet? If you don't see what you're looking for in our store, ask us about it. We may be able to order it in for you and we'll give you 10% off! Follow us on ﻿Facebook﻿, Twitter, or Instagram for the latest specials and new products or sign up for our newsletter below. We believe in healthy, happy pets. The benefits of quality raw pet food are visible in how pets look and feel, from their shiny silky coat to having more energy. We believe in the importance of feeding raw to our pets and sharing that information with our clients. We are raw dog food nutrition certified and carry a selection of raw food and treats. If you're interested in feeding raw, stop in to learn more.